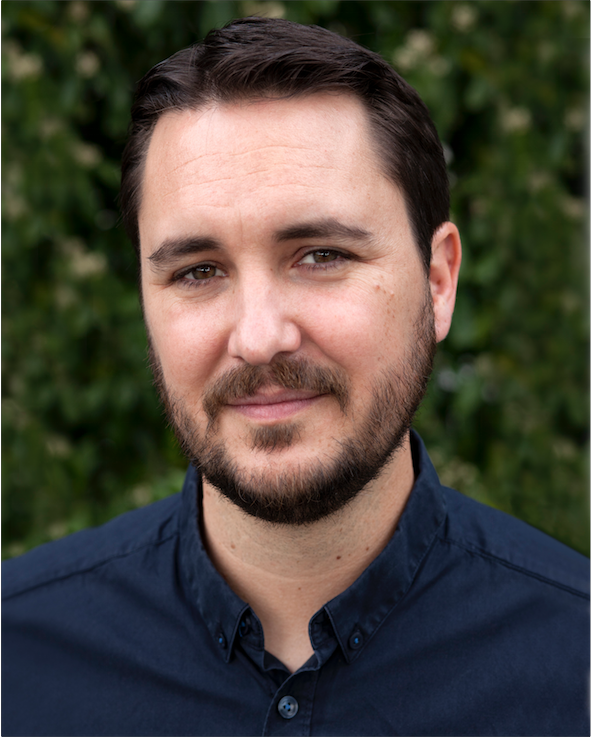 I’m usually entertained by Wil Wheaton, the actor who played Wesley Crusher on Star Trek: The Next Generation. He’s often hilarious on Twitter, amusing on his blog, and entertaining on his YouTube board game videos. He’s also decidedly liberal and correspondingly irritating to some percentage of his audience whenever he ventures into politics and public policy. Celebrities are certainly entitled to their opinions as much as anyone. The difference is that they’re often heard as they have reach. “I believe healthcare is a universal human right, and nobody should have to worry about what happens if they get sick, except getting better.” ~ Mr. Wheaton, on Twitter. Gee, it sounds nice. Altruistic, and beneficial for me as well. But do I agree? In a perfect world, yes. And everyone who wanted a job would have a job. And every child would keep their (psychologically healthy) parents as a nuclear unit, everyone would have means far above an adjusted-for-inflation poverty level, Star Trek would have completed its five year voyage, and... there wouldn’t be any need for liberals at all. Or conservatives, to be fair. There would be Government, stating what is right, mandating it, and enforcing it by a finely crafted pen and a charismatic leader, because... well, guns wouldn’t be needed to coerce compliance amongst citizens who somehow show traits of human nature after formative indoctrination years, because, happily, there are no guns in Utopia. Mr. Wheaton may frame a “universal human right” as a right of all humans, regardless of their country and citizenship. In fact, I’m sure he would agree with that. The distinction, then, is whether he considers this a natural right or a legal right. Natural rights are not contingent upon the laws, customs, or beliefs of any particular culture or government. Legal rights are bestowed by a given legal system. One is viewed as unchanging; the other is subject to change over time based on interpretation and changing societal mores. My definition of a natural right is one that exists at the point of personhood. The preferred term is inalienable right, recognized in the Declaration of Independence as being endowed by [man’s] Creator, but this is under threat today as being an unnecessary foundation when a social contract between the authority and its people is sufficient to carry the morality and course of a nation’s governance, never mind the irrelevance of the God concept. Inalienable rights were said to be “self-evident truth,” and whether tied to Judeo-Christian, Deist, or other philosophical reasoning, include rights which cannot be ceded to the State. John Locke said that these include “life, liberty, and estate [property],” of which Jefferson amended the last as “the pursuit of happiness” in the Declaration of Independence. Liberty: everyone is entitled to do anything they want to so long as it doesn’t conflict with Life. Estate: everyone is entitled to own all they create or gain through gift or trade so long as it doesn’t conflict with Life and Liberty. In single words, these terms mean something, an oughtness of humanity in general and the individual specifically. When scrutinized, though, these inalienable rights have already been ceded to the government in varying measure, in the first instance in Roe v. Wade, in the second more widely in the interest, we trust or trusted, of protecting ourselves, and lastly in taxation, the instrument by which government funds the outworking of legal rights and other obligations. Mr. Wheaton will note that that his right deprives the government of extinguishing his life (unless as ceded by legal law for the crime of murder, even in California), but there is no inalienable right to always be made healthy. If natural rights don’t solve the problem, legal rights will not help, either. In the U.S., I would have to think that the Affordable Care Act, i.e, Obamacare, would not pass Mr. Wheaton’s muster. For those who can’t afford it, the insurance coverage is given to them by income producers, but they’re still left with out of pocket expenses that are likely to exceed $6,000 per person. Financing healthcare clearly remains a worry at the individual level, so I’ll presume he would recognize Obamacare as a failed placeholder until Utopia, eh, universal health care, arrives. But that’s not a suitable end game, either, at least for Utopians. In the current insurance market, in the new ACA, and observably in countries with universal health care systems, there is no provision that anyone who is sick should only have to worry about getting better. There’s a cost/benefit based on age and relative improvement in quality of life (or “quality adjusted life year system”), not to mention the consideration of mortality tables. There’s also shortages in health care professionals, long delays for needed services due to system demand, and a reduction in Research and Development in that related costs are often no longer worth the benefit for profit-minded investors, not an insignificant portion of that community. Universal health care is not a system for “sickness without worry.” There can’t be, because it’s not affordable when scaled to all the needs of a population. That doesn’t mean, though, that governments cannot or should not try. When I started this exercise, I had a fixed opinion that Mr. Wheaton was wrong about rights, because I believe strongly in fixed inalienable rights. None of these require the talents, goods, or services of other people for my benefit. I’ve had to reassess this and concede that a government can make any contract with its people that it wants, or that its citizens allow. Lacking justification within “rights,” I move to the U.S. Constitution, where it is set forth that “We the People” will “promote the general welfare” under the auspices of a government. “Promote” is the key word there, a word chosen for its particular meaning, as opposed to, say, “Provide.” The founders also chose that word for its proper context, namely in providing for a common defence (sic). Provide vs. promote. These are different terms with different meanings. The government functionally operates one and encourages, researches, and oversees (but does not provide) the other. Elected politicians have long ignored the meaning of the words behind their oaths. ACA does not intrude on “promote.” Universal health care will, just as Social Security and other programs have. What is left is the practicality of implementing AHA (now) and universal care (soon) based on medical system capacity, costs and increasingly difficult funding needs, weighed against the changing mores of the population over time, namely, how much of their estate [property] they are willing to give for the benefit. There will be gratitude for those currently unable to afford healthcare, a genuine response to charity. But soon, there will only be entitlement, which is the “right” that liberals pronounce at every perceived need. After all, it’s a good thing to do, it builds political power, and debt is never a problem. Note: Much of the information on rights was borrowed from Wiki, a publicly editable resource that may contain errors. Healthcare is a concern for many, both in affordability and access. Perhaps THIS is a wiser means of going about it.